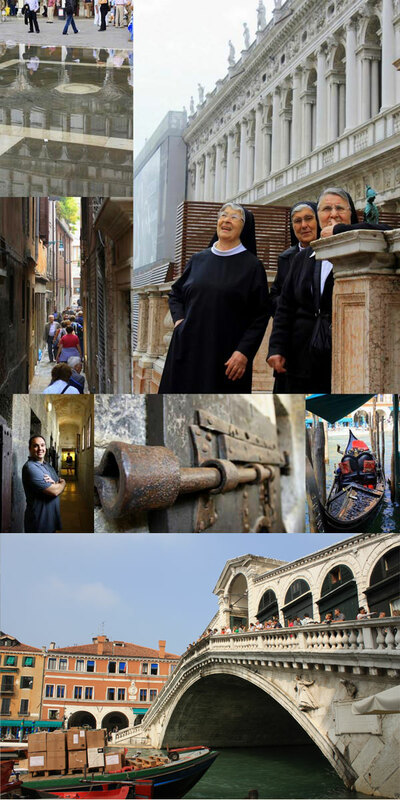 We had heard about Venice for nearly our entire lives. 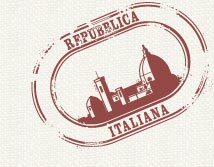 It is the city of romance, highly regarded by visitors throughout the world. Our hopes were so high for Venice that we were fully prepared to feel a tinge of disappointment. Surprisingly, we felt anything but. 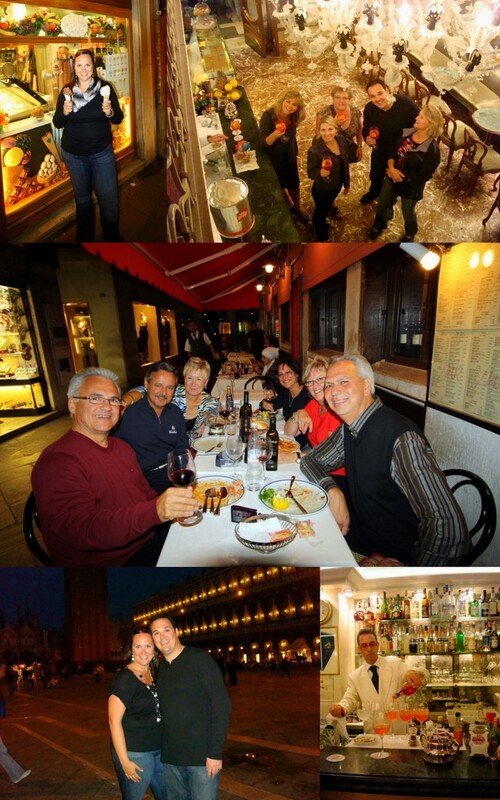 Venice lived up to, and greatly exceeded, our colossal expectations. 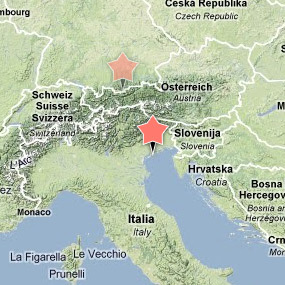 As we floated up the Grand Canal we knew Switzerland was going to have to run for it’s money, er, Franks. 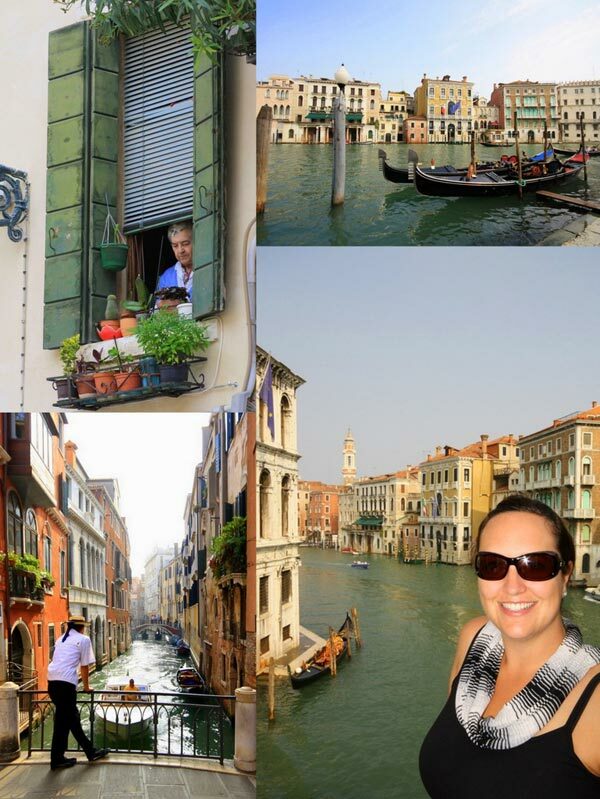 Below: Venetian woman in window, gondolas in the canal, a Gondolier, Nicole overlooking the Grand Canal. Our first full day in Venice began with a guided tour. As we followed our guide through the city we found ourselves feeling more lost than we had ever been before. There were so many spots that we wanted to re-visit later in the day and were afraid we wouldn’t be able to make it back to them. Though, with a map and some determination and a lot of laughter (dead ends in Venice lead you straight to the water, watch your step!) we were able to navigate the islands and find all we had hoped for, and more. As we roamed through the streets of Venice we could see that the city was preparing for a change. Long elevated walkways were being set up everywhere as water began to seep and bubble right from the ground. The Italians call it Acqua Alta, a beautiful way of saying high water, or flood. It was a slow progression and the locals went about there day as if nothing was happening. We tourists, on the other hand, were in awe of the fact that Venice really is sinking, and we were splashing around in the proof. 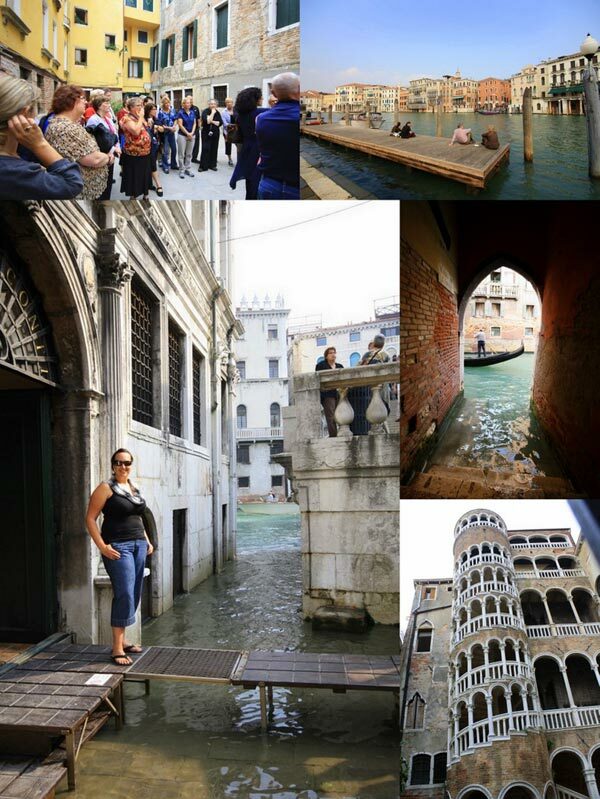 Below: Water seeping into St. Mark’s Square, the group navigating the narrow corridors of the city, nuns in St. Mark’s Square, Kevin in the prison at Doge’s Palace, lock on a prison door, gondola in the canal, the Rialto Bridge. 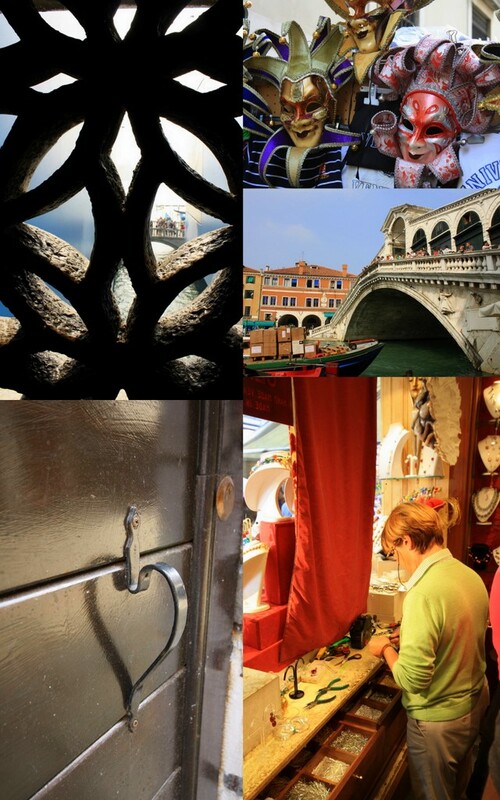 Above: Looking through the Bridge of Sighs, Venetian masks, the Rialto Bridge, door handle, shop owner hand-making Murano glass jewelry for us. 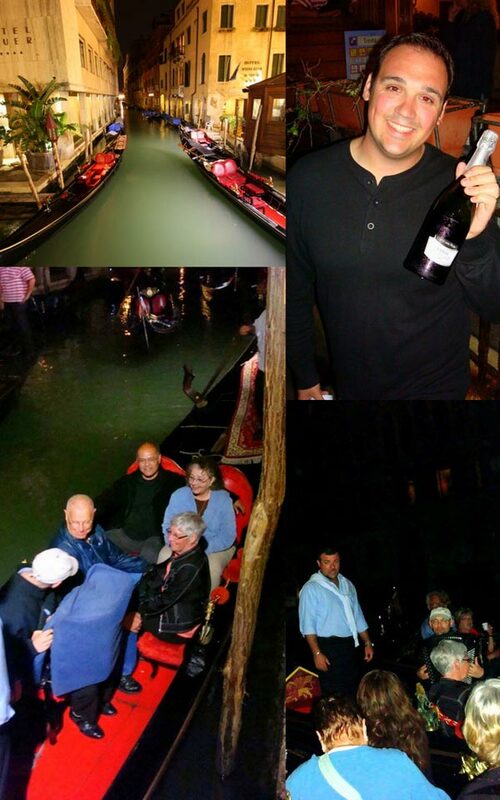 The entire group decided to stick together (on yet another free night) and we took to the Grand Canal together. As we arrived at the dock we found Colleen waiting with private gondolas, bottles of bubbly and her favorite singer and musicians. As we sailed through the Grand Canal the tears began to flow as we were serenaded in Italian. Simply amazing. Above: Gondolas docked and waiting for us, Joe, Jeannie, Russ and Fern in the gondola, Michele serenading the group as we sail along the Grand Canal. This video is dedicated to Colleen and our entire group, we hope it takes you back and lets you relive that incredible moment. As the sun sets over Venice the city seems to come to life. The celebrated canals fade into the background and the facades of the structures begin to glow. 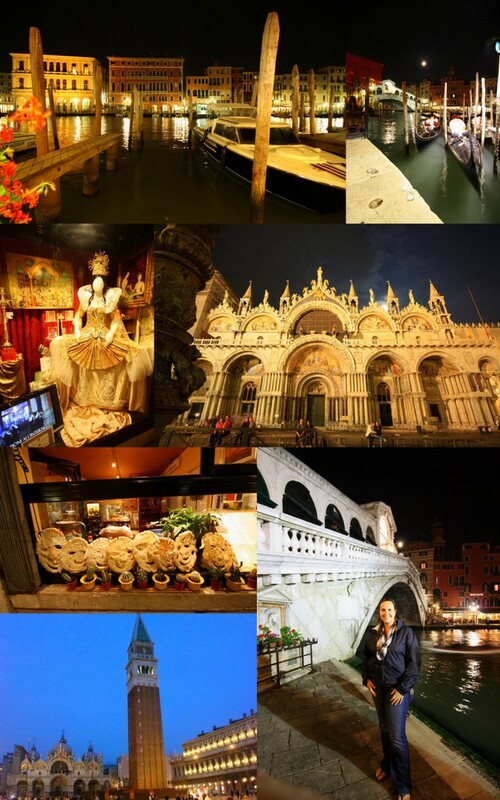 Above: View from our restaurant on the Grand Canal, Gondolas near the Rialto Bridge, Venetian gown on display, Doge’s Palace, masks made of bread, St. Mark’s Campanile, Nicole in front of the Rialto Bridge. Above:Nicole enjoying Venice’s best gelato, the girls enjoying orange spritzers at one of the oldest bars in Venice, “The Canadians” enjoying dinner at a café, us at St. Mark’s Square, bartender preparing our orange spritzers.